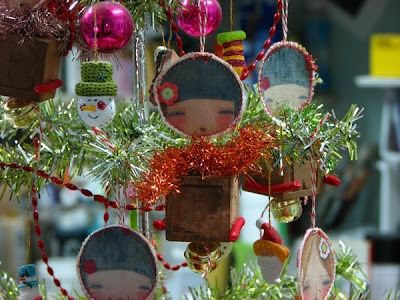 My ornaments were little wood blocks with paper clay arms and fabric printed faces. They also have a little bell in the bottom and colorful vintage style garland as a scarf. 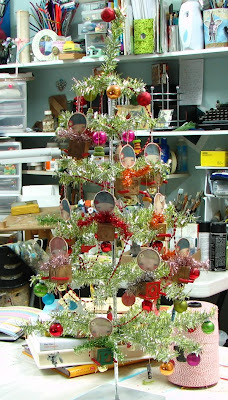 This was the tree in my studio after I finished them and before packing them. I hope the participants liked them :) I love everything I got! 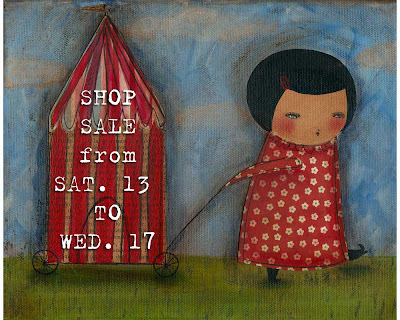 To celebrate all the ornaments I got, I'm having a sale on my Etsy store! Free USPS domestic shipping on jewelry and accessories. What do you think? Like that? I hope so. Now, I'm going to make some new stuff and I'll show you later. Have a great weekend! que arbol mas bonito danita!! You're inspiring me so much. Those ornaments are so cute! 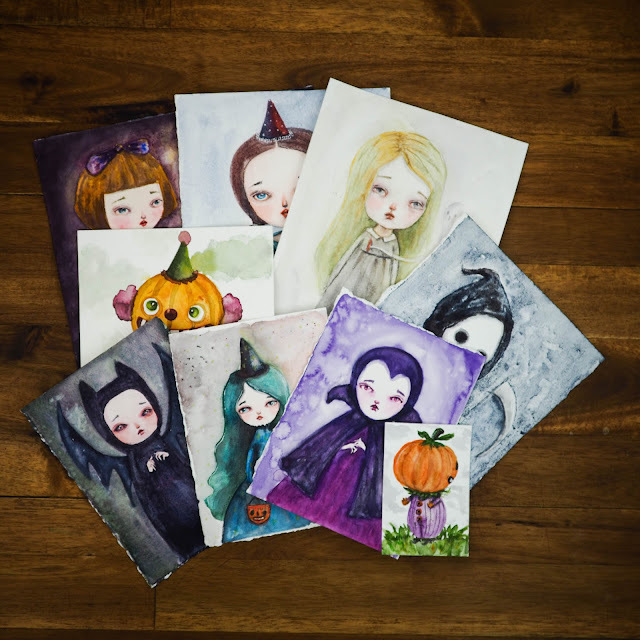 I love your work, I plan to get loads of the ACEO ones in the New Year! It's just so hard deciding which ones! I want them all! I love your Xmas decorations!